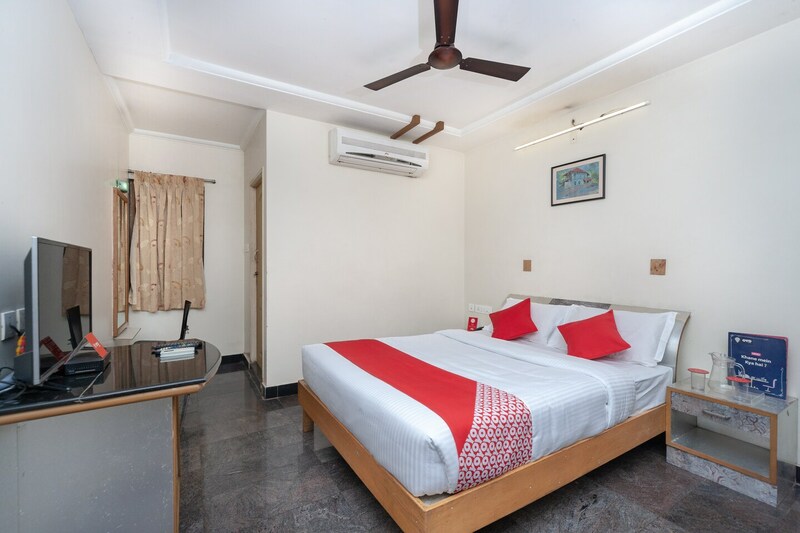 Simple and spacious rooms with modern amenities to make for a refreshing and comfortable experience. Hotel Srm Central Park offers a modest stay to its residents in pocket-friendly price. The rooms are pleasant and spacious. The light coloured walls create a calm ambience which makes the guests feel relaxed. The vibrant cushions and the painting add liveliness and colour to the room. The hotel provides free-wifi to its residents. It also accepts card payments for easy transactions. CCTV cameras are installed to keep the campus safe and secure. Many restaurants are also near the hotel which is an added advantage for the guests.